主要职责 Main Responsibilities? 及时进行抢修，安装，预防维护以及日常弱电系统运行操作，消防报警系统，灭火系统，闭路监控系统，闭路电视系统，楼宇自控系统，背景音乐广播系统，对讲系统，电子门锁系统等，使设备处在高效和经济的状态下运行.IRespond to job assignments in the repairing, installation, preventive maintenance and day to day operation of all electronics system which include Fire alarm & detection system, Fire suppression system, CCTV surveillance system, MATV system, BAS system, Background music broadcasting system, Walkie-Talkie system, Electronic door lock system, etc., in a productive and cost effective manner so as to maintain the systemin a most efficient and optimum condition.? 按照饭店指导原则，规定和标准程序开展工作，特别要注意与防火和人身安全有关的项目.Execute work in accordance with the guideline, policies and procedures, and pay special attention to the items related to fire and life safety.开展预防维护工作以及按照工程师的指令和生产商建议维修设备.Execute preventive maintenance and maintain the equipment in accordance with the guideline of engineer and manufacturer's recommendations. ? 在紧急情况下按照紧急程序开展工作.Conduct workaccording to emergency procedures when in an emergency situation.? 了解饭店电子系统以及电子系统的运行要求和特性，严格按照设备要求和特性操作设备.Be familiar with all the electronics systems, its operating requirement and characteristics, and operate the equipment in compliance with this knowledge strictly.? 进行在岗培训.Conduct the on-job training.? 在工作中执行品牌标准.ExecuteBrand Standard atwork.? 对客人要求和投诉及时做出反应避免造成客人不便或不安.React to the guest’srequest and complaints promptly in order to avoid inconvenience or discomfort.? 在节能方面进行制作和提出合理改良建议.Make reasonable recommendations on energy conservation improvement.? 执行总工程师，副总工程师安排的其它工作.Perform other duties assigned by Chief Engineer and Asst. Chief Engineer.? 必要时帮助工程部其它工种组工作.Assist colleagues from other types of groupwhen necessary.? 按照工作检查表检查弱电系统运行情况并做好记录工作。维修和上报弱电设备运行缺陷，不寻常的运行情况和安全隐患。经?；毓嗽し牢藜觳楸砗臀し绞?，保证弱电设备长期稳定的运行，避免紧急修理和故障?；透萆植嵋蟾咝г诵?Check the operation of all AV equipment according to the inspection lists and make operation status records. Report operation deficiency, unusual events and safety hazards conditions to engineer and do maintenance. Constantly assess the preventive maintenance schedule, method of maintenance, to ensure that equipment longevity, avoidance of repairs and down time, ease of operation and efficiency are all being maximized pursuant to manufacturing recommendations.? 保持维修工具，设备和工作区域的清洁.Keep maintenance tools, equipment and workplace clean.? 开展本班次工作和必要时延时工作。.Carry out our times work and work for overtime when necessary. 主要职责 Main Responsibilities? 及时进行维修、安装，关注日常配电和灯光照明系统运行情况，保持设备在高效和经济的运行状态.Install and maintain equipment timely, pay attention to the operation of daily power distribution and lighting system .Keep all the equipment in efficient and economic conditions.? 按照饭店指导原则、规定和标准程序开展工作，特别要注意与消防生命安全程序的有关项目.Conduct work in accordance with the guideline，policies and standard procedures. Pay special attention to programs that are related to fire safety procedures.? 开展预防维护工作以及按照工程师的指令和生产商建议维修设备.Conduct preventivemaintenance. Repairequipmentaccording to the engineer’s instructions and manufacturer's recommendations.? 在紧急情况下按照紧急程序开展工作.Conduct work according to the emergency procedures when in aemergency situation.? 了解掌握饭店配电和灯光系统以及设备的运行要求和特性，严格按照设备要求和特性操作设备.Be familiar with all the power distribution and lighting systems in hotel, and the equipment’s operating requirement and characteristics. Operate the equipment in strict accordance with the requirement and characteristics.? 在工作中执行品牌标准.ExecuteBrand Standard atwork.? 对客人要求和投诉及时做出反应避免造成客人不便或不安.React to the guest’srequest and complaints promptly in order to avoid inconvenience or discomfort. ?在节能方面进行执行和提出合理改良建议.Put forward reasonable suggests on energy-saving and execute them.? 执行上级安排的其它工作.Execute other jobs assigned by superior.? 必要时帮助工程部其它工种组工作.Assist colleagues from other types of groupwhen necessary.? 按照工作检查表检查强电设备运行情况并做好记录工作。维修和上报设备运行缺陷，不寻常的运行情况和安全隐患。经?；毓嗽し牢藜觳楸砗臀し绞?，保证设备长期稳定的运行，避免紧急修理和故障?；?，安全运行，和根据生产手册高效运行.Check the operation of allhigh power equipment according to the inspection lists and make operation status records. Correct and report operation deficiency, unusual events and safety hazards conditions to engineer. To constantly assess the preventive maintenance schedule, method of maintenance, to ensure that equipment longevity, avoidance of repairs and down time, ease of operation? Keep maintenance tools, equipment and workplace clean.Carry out our times work and work for overtime when necessary.? 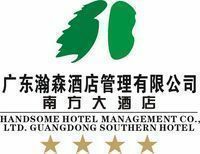 保持维修工具，设备和工作区域的清洁。Coordinate the relationships between the hotel and electrical authority. Ensure the hotel power conversion and do the yearly check and equipment check.? 开展本班次工作和必要时延时工作。Manage the elevator/escalator maintenance staff.